When you’re selling technology, it only makes sense to use a digital platform to communicate with your target market. 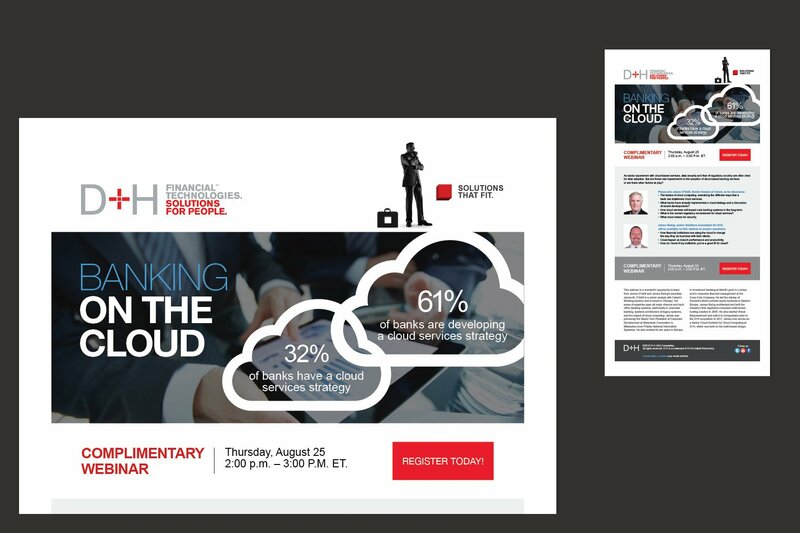 D+H, a Top 25 Financial Technology company, tasked MZ with helping communicate the benefits of their automated lending offerings. 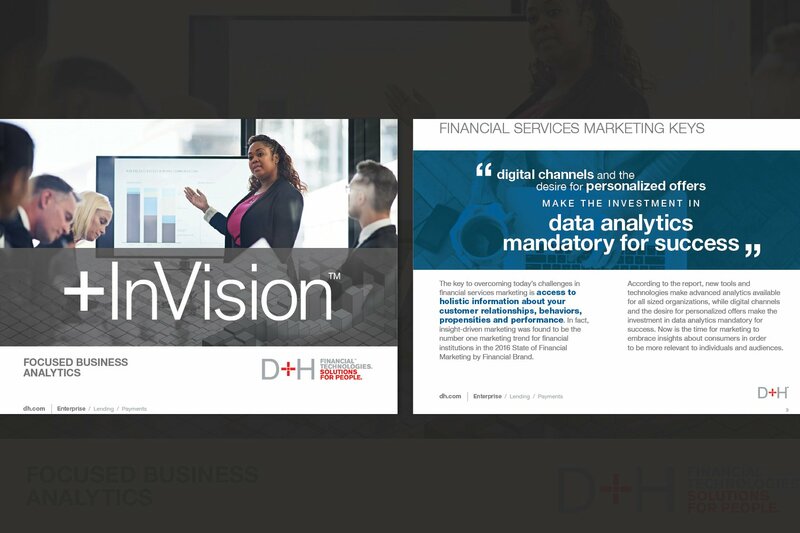 From customizable presentations to eBooks to HTML ads and white papers, MZ provided D+H with smart tools—making their materials inviting and educational—all in a digital format. 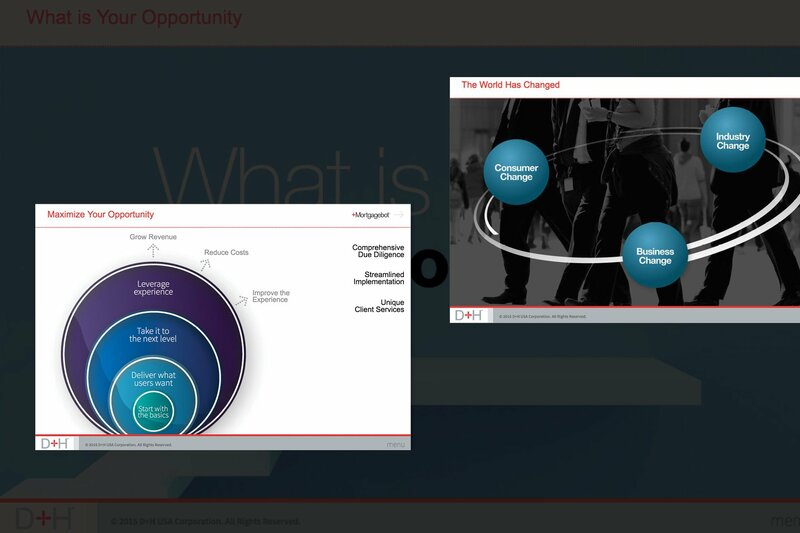 The beauty of this presentation is in its customization—the sales person can use the hidden navigation to keep the conversation moving in whatever direction the prospect wants. Hosted on the web, it’s always up-to-date and accurate. Lending, especially in today’s regulation-heavy environment, can be very dry. We combined smart design with technical information in eBooks and HTML ads to educate, drawing in the prospect while positioning D+H as the industry expert. MZ is a quick study of complex product offerings and has insightful perspectives to produce high level creative whether digital or traditional.